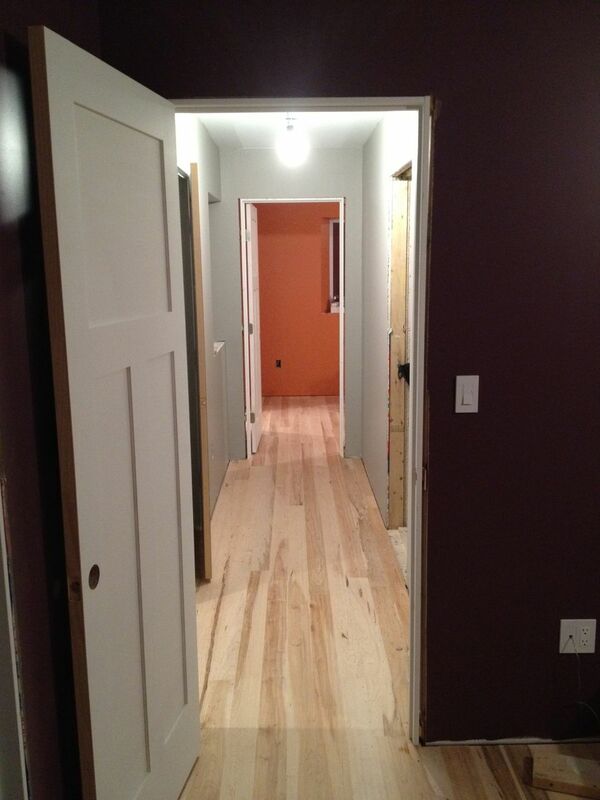 Progress was still choppy this month, but we did manage to accomplish a few items. Received all our approvals for the solar installation, but we’re still waiting on the building permit to come through. Once that is complete, we can schedule an install date for the solar system. Dug the trench to the house and ran the power into the basement. We had to drill another hole in the foundation because we didn’t plan a big enough sleeve when we poured the foundation walls. But we were happy to get this in before the forecasted 6 inches of snow tonight. The next big item is getting the siding up. It is currently taking up most of the first floor space. 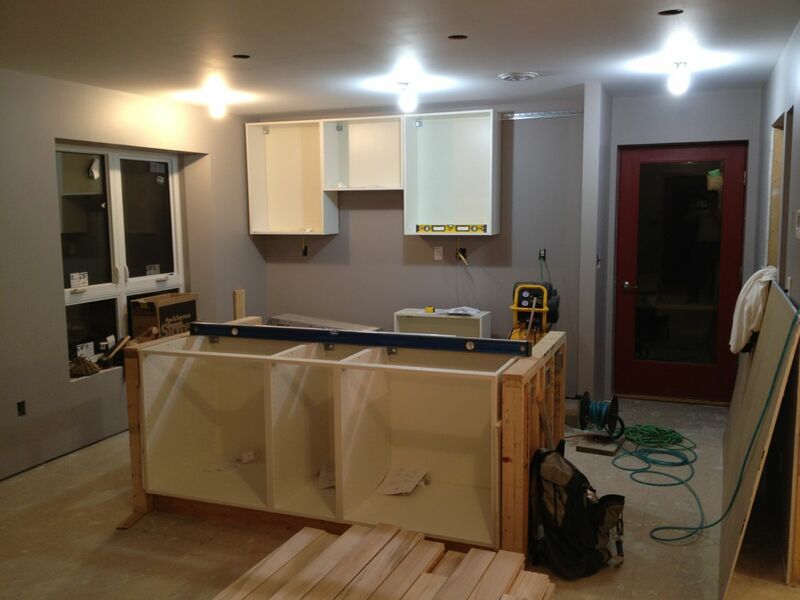 We need space to work before we start the plumbing, electrical and venting rough-ins. This is the story of how we ended up with our window box detail. 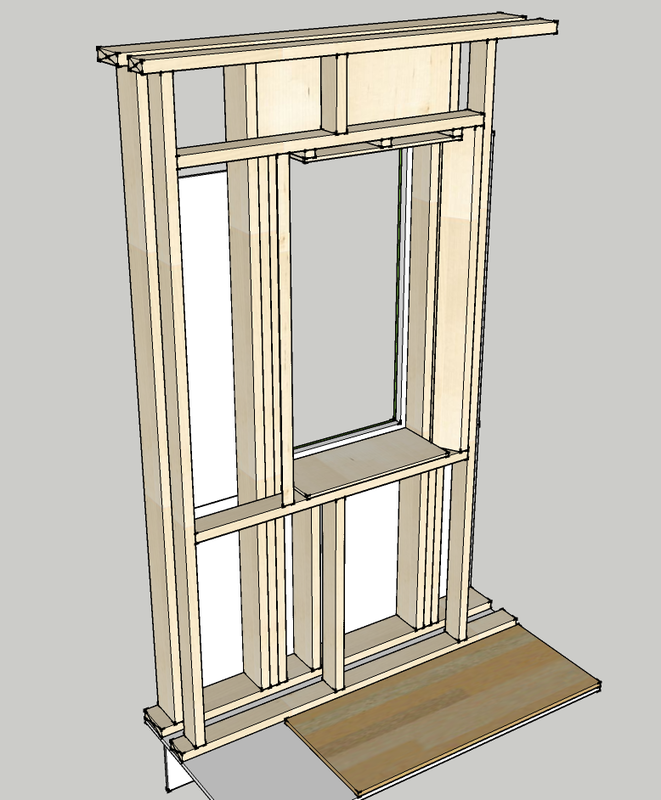 We decided early on to use advanced framing techniques and work on a 24″ module. In early drafts of the design I used window widths that fit between studs. The advantage to this approach is that you use less wood, smaller headers and fewer jack studs. 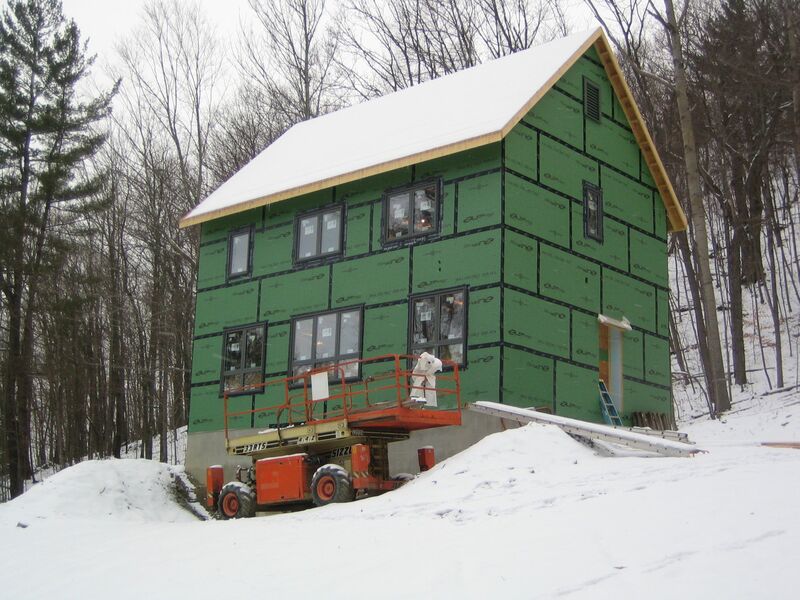 Less wood means a bit less money spent on framing materials and fewer opportunities for thermal bridging and cold spots around openings in the envelope. Sounds great in theory, but then I discovered how difficult it is to fit windows into a 24″ module in a small house. Aesthetically we wanted the windows to line up with doorways and the spaces inside and frame the view, and also make use of passive solar. Eventually I gave up on fitting narrow windows into the structural grid. The tradeoff was that almost every window interrupted the path of the load, so the headers above the windows had to be beefed up and more jack studs were required. 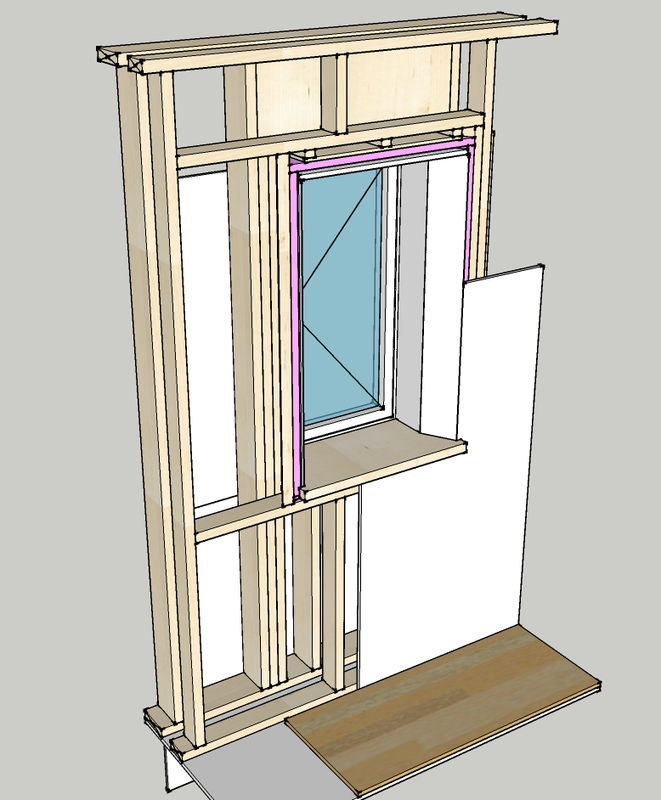 Adding more structure around the window opening means more bridging from the outside to the inside of the window box, short-circuiting the insulating value of the double-wall construction. 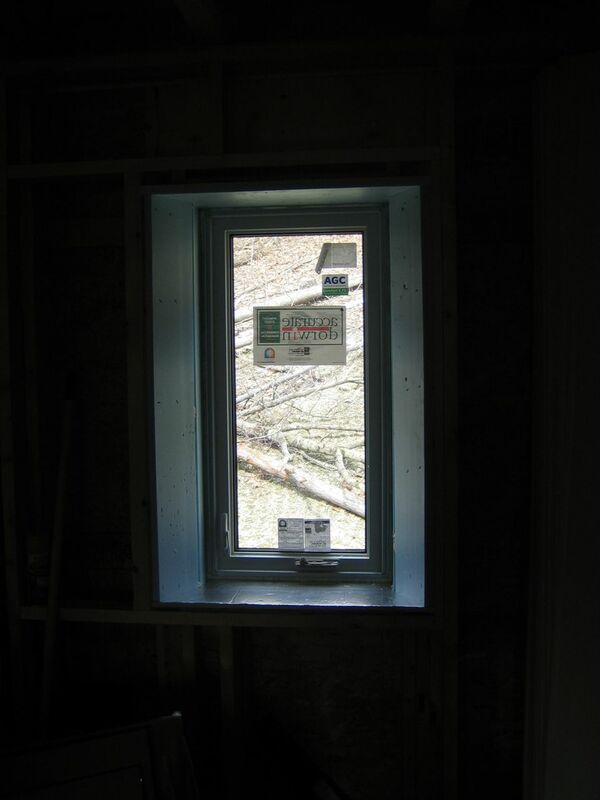 We also decided to use a rainscreen detail on the outside of the wall (see Final Energy Analysis and Recommendations), which pushes the 3 1/4″ thick window frames out a bit, leaving a deeper window box inside. 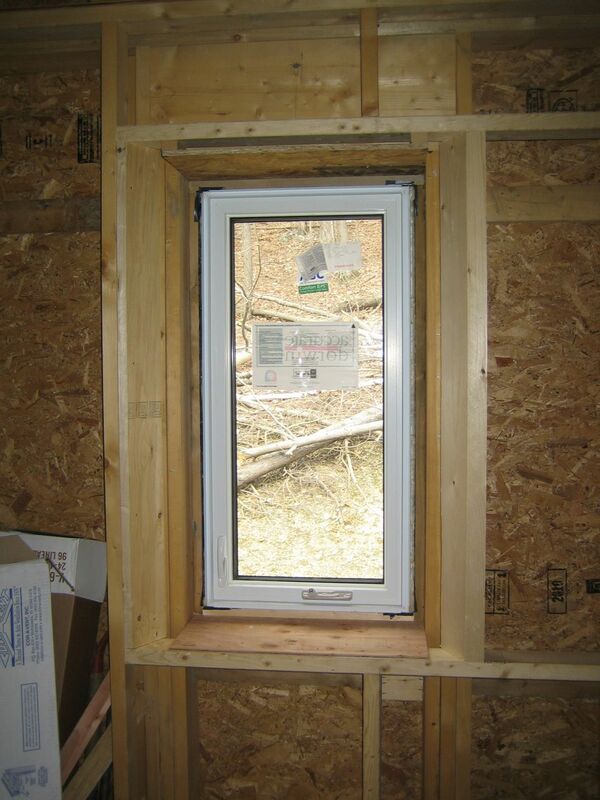 This exposes 4 1/4″ of exterior structure (2×6’s, 1 king stud and 2 jack studs) around the window frame. Doing the math, 4.25″ x 1.25 R/inch = 5.3 R, which is not a lot compared to the 40 R of the double stud wall. Even though there are 12 window openings in the 2 bearing walls (north and south facing) it is only a small amount of bridging. Doing the math again, we have roughly 863 sf of interior walled surface area on the north and south walls, and 29.5 sf of bridging area next to the windows. 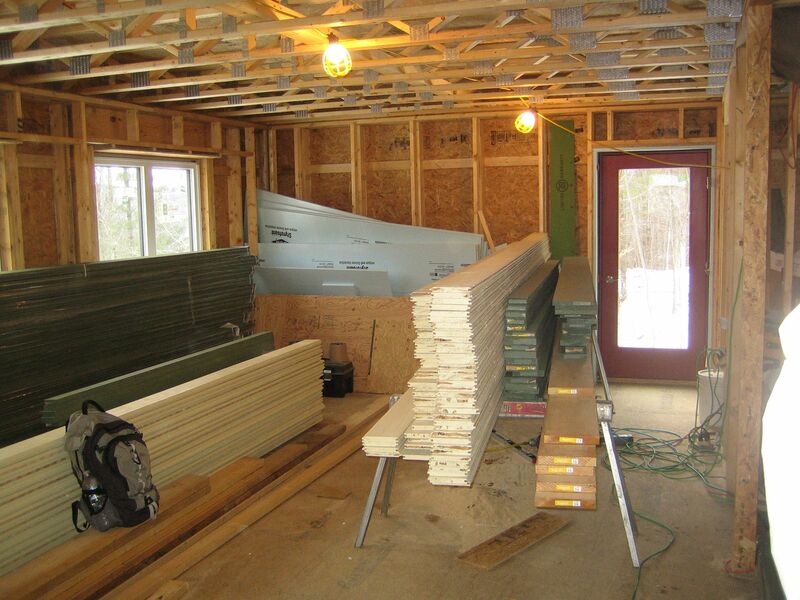 That is roughly 3.5% of the overall interior wall surface. 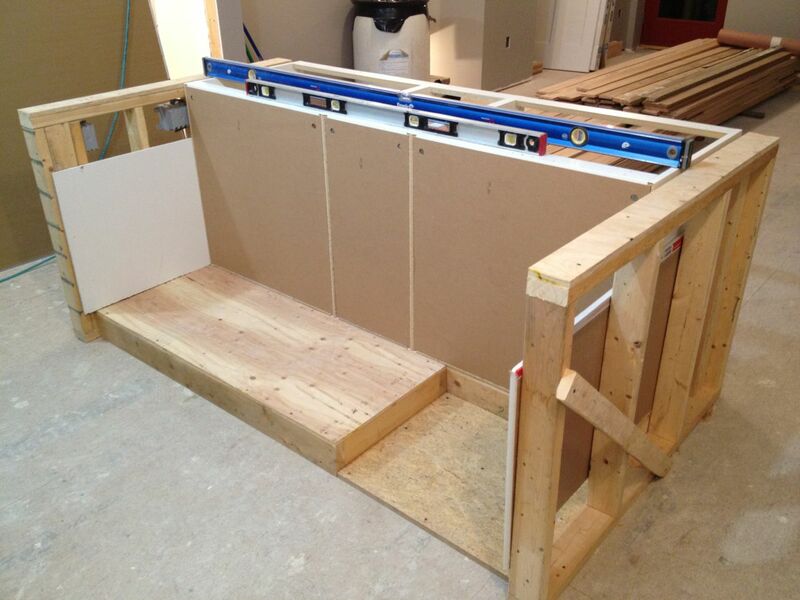 Our contractor, Warren, came up with several good ideas to minimize the cold spots created by the bridging. First, move the header up to the top plate to add some space and insulation between the header and the top of the window frame. 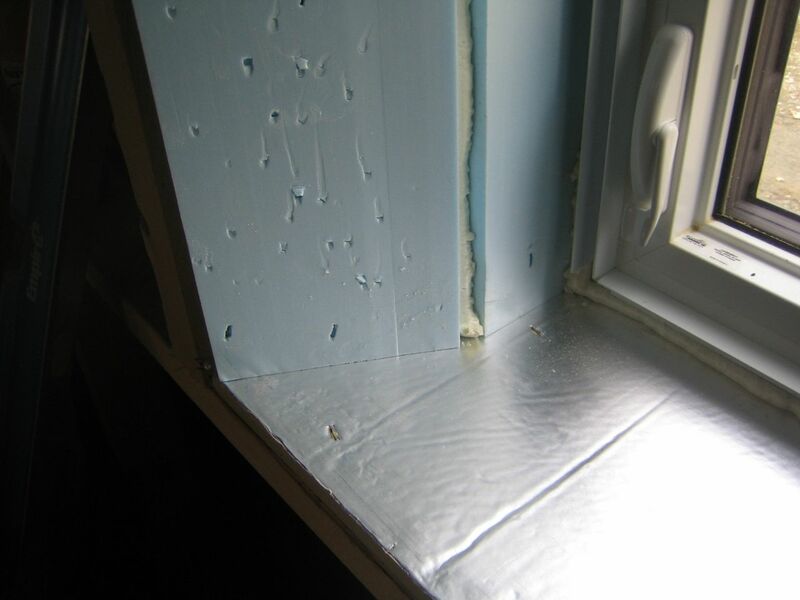 Second, add a layer of 1″ rigid insulation around the inside of the window box, to which the drywall will be attached. 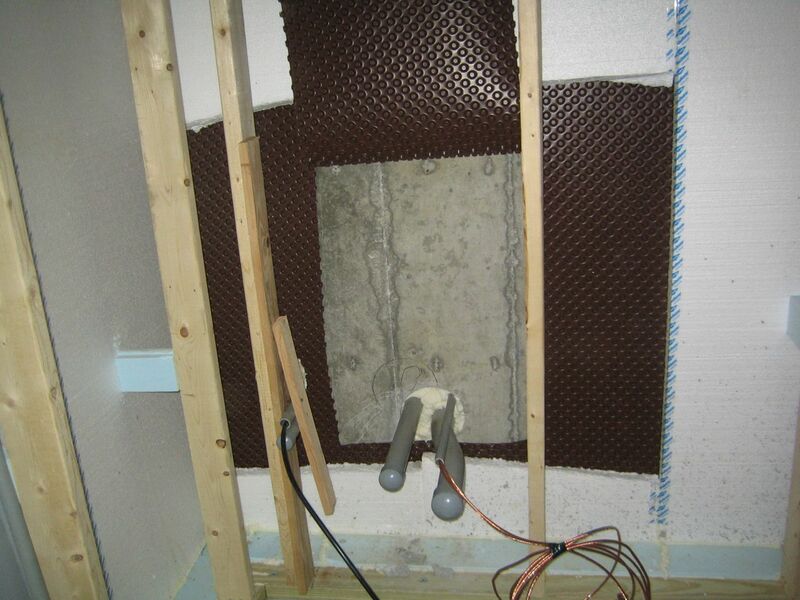 This layer of insulation is small (R5) but it doubles the R-value at these locations and breaks the bridge between the outer structural wall and the interior window box. 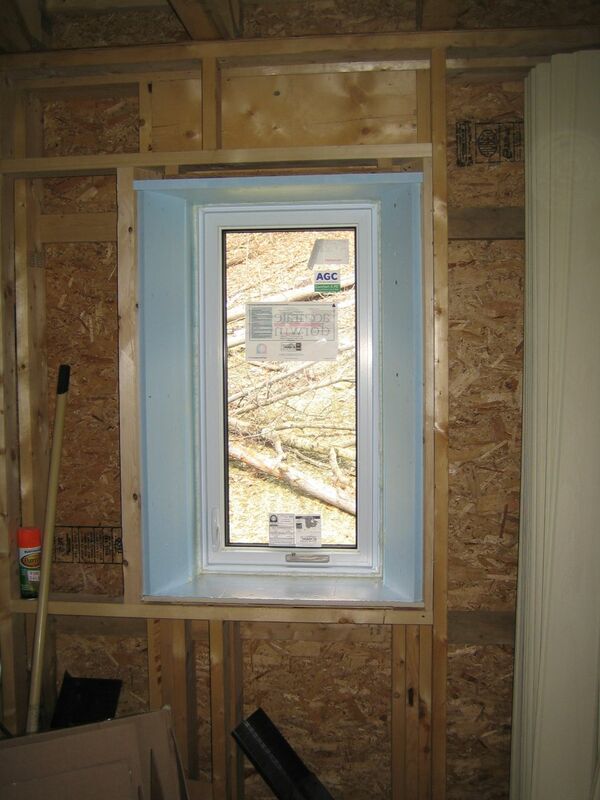 Earlier this week Warren added the bevel framing and insulation for one window. 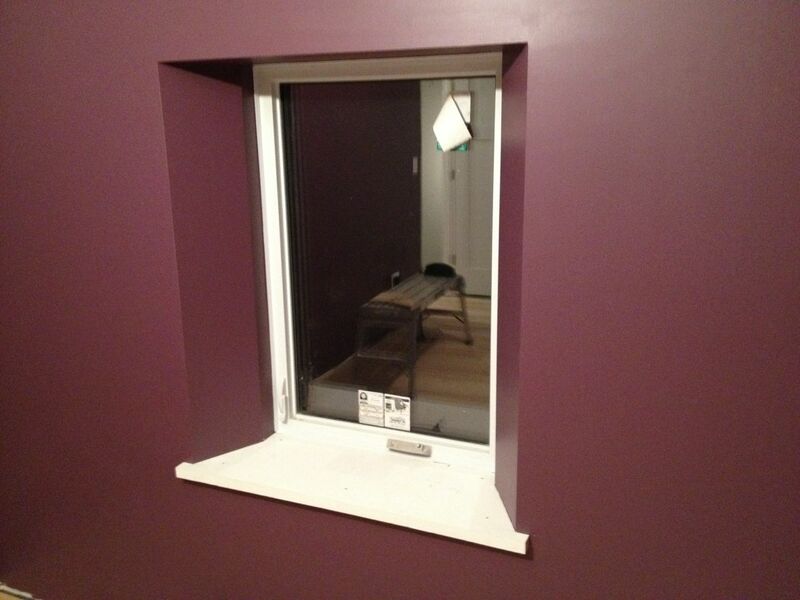 It goes together quite well, but in hindsight I would have just insulated the problem areas, the 2 sides of the window next to the studs, rather than the entire window box. 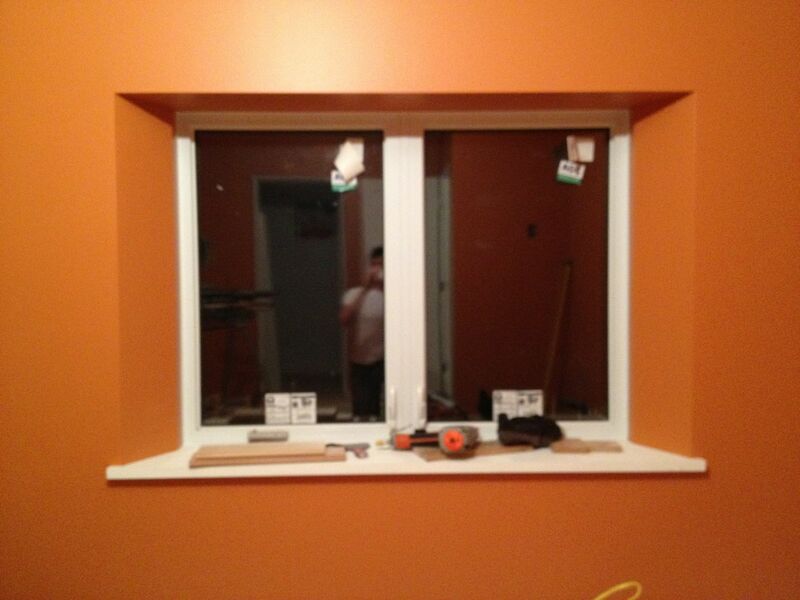 This weekend we are working on the remaining windows. Luckily the sun is out this weekend which makes working in the house fairly easy even when the temps outside are still below freezing. The passive solar is already working! A window repair person is scheduled to be at the site Monday morning to swap some sashes and glass units, and adjust the remaining units. We’re hoping this goes smoothly and we don’t find any other issues. We officially own our entire driveway as of yesterday when the final papers were filed. Before yesterday, the center section of our driveway was still on our neighbor’s land. This adjustment has been in the works since April. National Grid is like any large organization, lot’s of forms to fill out, they never call you back, the left hand doesn’t know what the right hand is doing. I have spared the blog my venom, but this is getting to be a chapter right out of the movie Brazil. 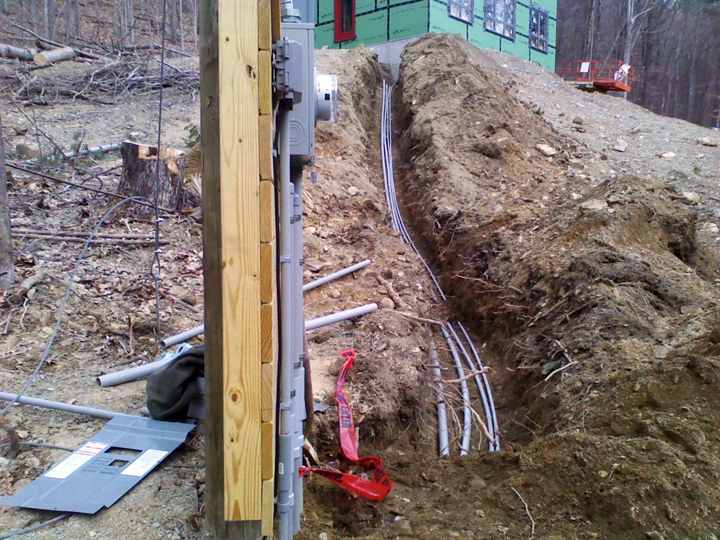 I have to report that we still don’t have a scheduled date for electric service to be installed to the house. It could be Spring before we have power from the grid. I really wish it made economic sense to go off the grid completely, because so far we’ve gotten a much better response from one of the solar vendors in our area, GroSolar. They came out to the house to do a solar survey and sent us an estimate that same night. 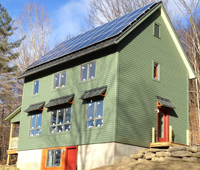 To summarize, after all rebates and tax credits, we’re looking at spending roughly $14k for a 6.9 kW system that should bring us to net zero in energy usage. Pretty awesome. 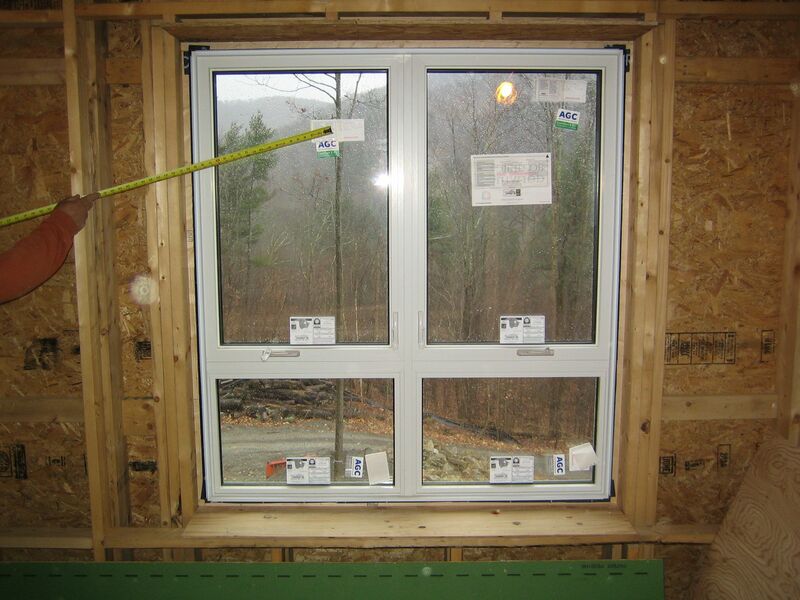 Yesterday we had a sales rep for AccurateDorwin come out to the site to see first hand our window woes. He confirmed our findings and promised to set things straight. But as of today, still no official word. 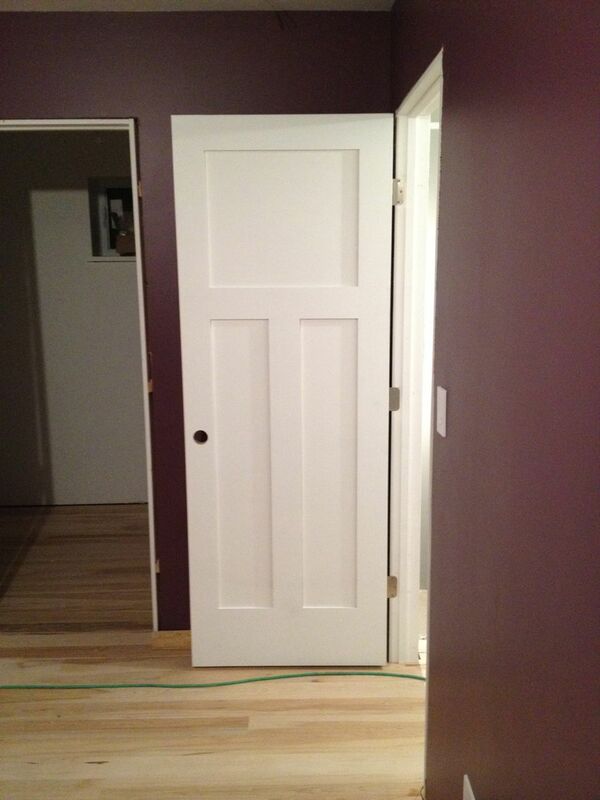 In more positive news, two of the three doors have been installed. We now have a weather protected space to work while its 29 degrees outside. Too bad all the work is on the outside. Speaking of outside, our siding has arrived. It’s all primed and ready to go in 20 foot long pieces of hemlock. And it’s just in time because we had our first snow yesterday. We’re still waiting on the metal roof. It was suppose to be delivered last week. On a final note, I met today with a solar PV installer from GroSolar to get an estimate. More on this when I get a quote from them, hopefully in the next day or so.